Fine Art Logistics - Transportando Obras de Arte en forma confiable. We look after logistics ranging from comprehensive art exhibitions right down to private collections for delivery to anywhere in the world. Our staff offers solid expertise in packing, transport and unloading of valuable art. 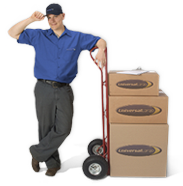 Universal Cargo transports works of art reliably, cost-effectively and rapidly. Photographic record and inventory of every piece. Careful packing and assembly of transport boxes according to worldwide standards. Transportation arrangements and choice of transport mode. Forwarding and preparation of delivery documents. Continuous follow-up given to client as regards the project. Delivery and exhibition-related insurance as required.